Went for my first practical driving lesson on Monday!!! I'm learning Class 3 Manual car with the school. The pick up location for CDC Serangoon is at Block 414, Serangoon MRT Exit A. Just walk down the flight of stairs and you'll find guys standing around the carpark. Need to type this out because they never mention it on the website! Hopefully I won't get lost again! Meet my driving instructor, Adrian. He has been teaching driving for super long! 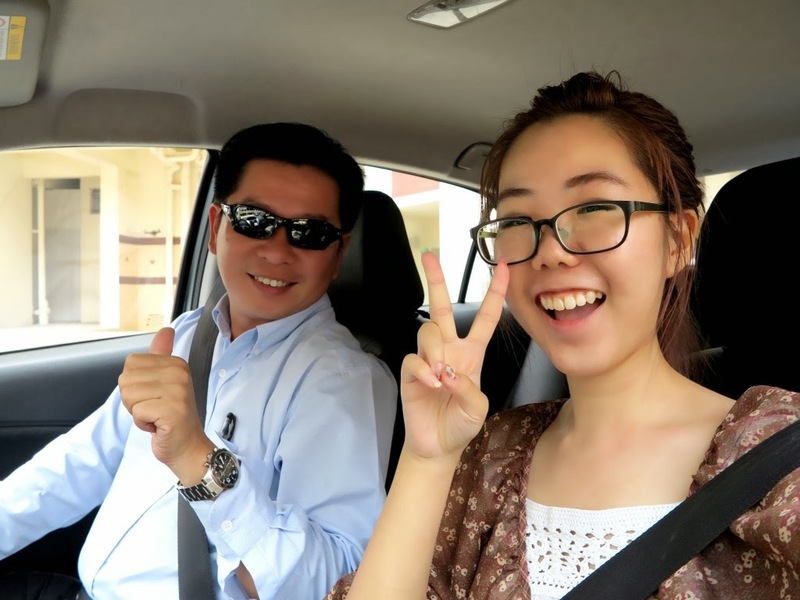 We chatted as he drove me to the circuit at CDC Ubi for the lesson. One of the reasons learning from school is better than private is because payment and bookings are done online, unlike private. Every lesson, you HAVE to bring the little Training Record Book with your PDL stapled inside. Forgot to take a picture of it, maybe next time! Your driving instructor will put a stamp on the Practical Attendance Record and Training Contents (what you have learnt) sheet. There's also a sign-in and sign-out of lessons through a smartphone! At first I thought how come the instructor was so rude, using his phone during lesson time. So high-tech lah! 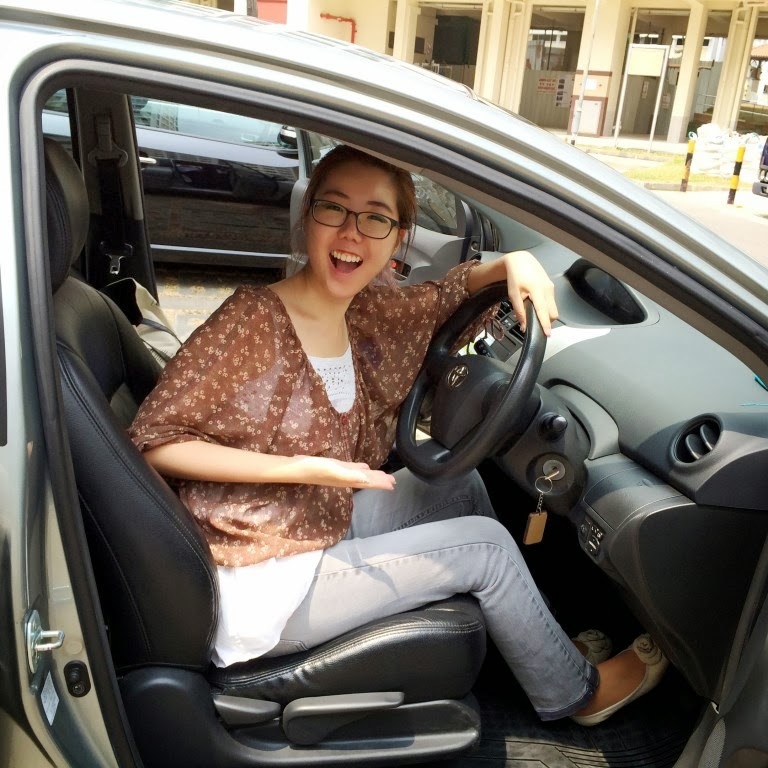 For the first lesson, I had to familiarize myself with the vehicle, know about the pre-operative procedures and learn how to start and stop the car. Yup that's me on CDC's training car! Gosh I look horrible but ANYWAY! Every first-timer should experience engine stall. Had a shock because I didn't know what to expect. When it came, I thought I was gonna die *choy*! Yes, I am safe and sound as of now, lol. So super ecstatic that I got to sit on the driver's seat. But manual is so tiring!? I told my instructor, by the end of this entire thing muscles are gonna show. Bloody clutch is so difficult to pull! But fun, of course. Can't wait for the next few lessons already, wheeeeeee! How long was the wait for the photo are license? I can't wait to receive mine!! Yup, they are very pofessional with standards..Adrian is a good instructor, very patient n experience.